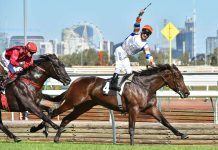 British wagering giant Ladbrokes Plc launched their Australian website in September 2013 following the purchase of Bookmaker.com.au becoming the latest big overseas operator to set up shop on Aussie shores. They have a long proud history with over 125 years of bookmaking experience and are rated by many as the worlds largest bookmaking company. With around 2,800 land based betting shops throughout Europe they employ over 15,000 staff and accept bets from well over one million customers every single week. 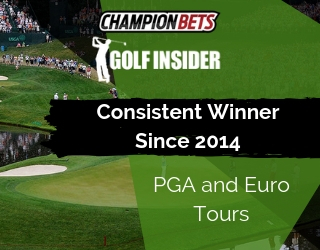 Their world-class sportsbook provides Aussie punters with fantastic odds on up to 9,000 betting markets at any given time while their racing products are among the best in the industry. Ladbrokes new Australian website and mobile betting Apps are fast, reliable, beautifully designed and absolutely feature-packed. Plus with a great range of promotions and innovative products like Pick Your Own Odds, the new Ladbrokes Visa Card and Daily Free Bet Challenge I certainly recommend checking them out, especially if your a recreational punter. Innovative Products ~ Attractive products like the daily free bet challenge, pick your own odds and Ladbrokes Visa Card just to name a few. Range of Markets ~ Massive range of local and international betting markets. 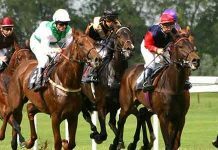 Lay Betting ~ Betting against the favourite is available on selected meetings. 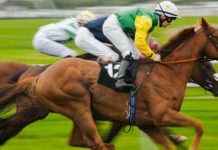 Betting Restrictions ~ The Australian Ladbrokes has been marketed mainly towards recreational punters so successful punters may have their betting habits restricted. No Live Chat ~ Live chat facilities can be very useful and being such a large company I was disappointing that Ladbrokes didn’t provide this feature. Best of the Best (BOB) ~ This racing product pays the highest of the three major Australian totes or the TopFluc ($250 max bet, available on selected meetings up to 35 minutes before the race). TopFluc (TF) ~ Pays the best official on course bookmakers fluctuation (Metropolitan meetings only). 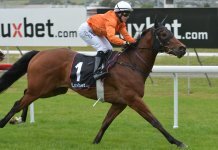 Best Tote or SP ~ Pays the highest Win dividend declared by the three major TABs or the official Starting Price (available on Win bets at all Australian Gallops). 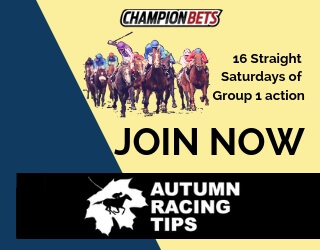 SPG ~ Short for “Starting Price Guaranteed” this product pays the higher of the fixed price at the time of your bet or the Top Fluc (on selected Australian gallops). Nom Tote ~ Allows punters to choose which tote price they will receive (available on selected events). Middle tote ~ Pays the second highest tote price from the three major Australian totes (on selected Greyhounds and Harness racing). Mid Tote +5% ~ Pays the Middle Tote +5% (on selected races). Fixed Price Exotics ~ Offers fixed dividends on Quinellas, Exactas and Trifectas (on selected meetings). Ladbrokes Video Player ~ This feature allows members to watch live sports via the Ladbrokes website, it also includes commentary, key stats, form and team line-ups. Favourite vs Field ~ Enables betting against the favourite of a race, same as lay-betting. 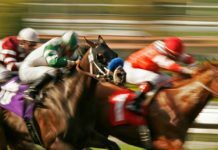 Pick your own odds ~ Get enhanced odds for picking the margin, or minimum margin your horse will win by (on Gallops and Harness racing). Ladbrokes Visa Card ~ The Ladbrokes Visa card gives members direct access to funds in their account. Novelty Betting ~ Allows betting on non-sporting events including currents affairs, financial outcomes, political elections and entertainment. Website Configuration ~ Members can configure certain areas of the website to suit their individual needs. The Ladbrokes website is a fast, easy to use one-stop-betting-shop that has gambling covered from just about every angle. It comes with a very attractive design and is absolutely chock-full of special features. Members can watch live sports on the Ladbrokes video player which includes commentary, key stats, form and team line-ups. Plus configure aspects of the site to suit their individual needs; From setting up their user profile to personalising the tool bar and predetermining bet amounts on the quickbet keypad. The racebook includes form guides, weather and track conditions, coloured silks and full price fluctuations. And after throwing in great odds and thousands of markets the only thing missing is a live chat facility. Ladbrokes mobile betting applications use a totally different interface to the website so they may take some getting used to. Many of the main sites features are missing but users can still watch live sport and personalize certain aspects of the App including setting a four digit pin for quick access which I found extremely handy. Of course all the markets and odds are exactly the same, it is lighting fast and perfect for placing your bets while your out and about. Overall it is a superb betting App.